Muscle cars occupy a special place in the world of restoration. 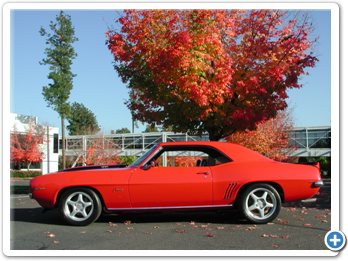 The standards for a perfect resto job on a muscle car are more stringent than for most other cars. To achieve a perfect restoration, the muscle car will have been delivered from the factory with all of the high-performance options available for the year, make, and model, and must still possess the original “numbers matching” components installed on the assembly line. Those stiff requirements mean that few are completely authentic and many are faked. Mike Cole has the genuine article. A 1969 Chevrolet Camaro Z-28, complete with the original 302 cubic inch engine, heavy duty close-ratio M-22 “Rock Crusher” 4 speed transmission, and the RPO-JL8 4-wheel disc brake and 4.10 posi-traction rear end option. “The car is one of 2,711 produced with the rock crusher transmission, and just 206 were made with the four wheel disc brake and 4.10 posi rear end option in that year. And only 56 of those made it to the street. All the numbers match on my car, and it’s got a rev limiter to make sure the engine stays unventilated,” Cole says. A D-80 chin spoiler option was also added, and this particular car came with a secret option not even listed on the books. It was ordered and delivered from the factory with a custom paint job. “It’s got a paint delete code. That means there’s no paint code; just a dash-dash on the firewall tag where the paint code should be. There’s no real definition from GM about what that means. It could have been a special-ordered color, or a special stripe color. No cars came out of the factory in primer or in basic white,” Cole says. 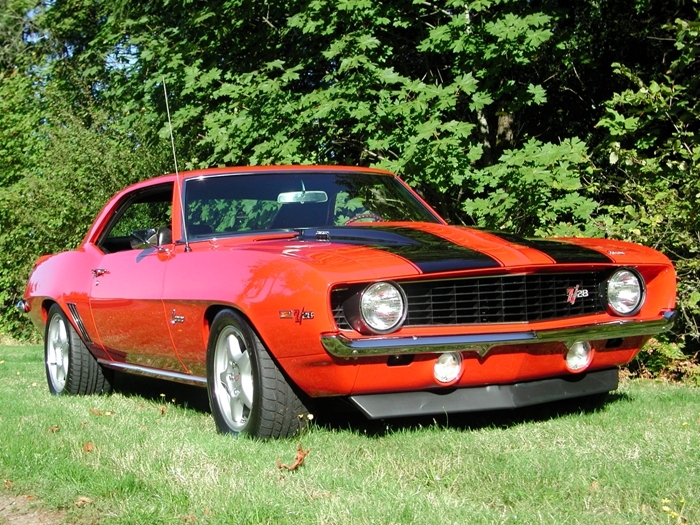 This Camaro was produced in GM’s Van Nuys, California factory in the first week of April, 1969. It’s been a west coast car since it came together, which has protected it from rust. Cole purchased the car from a used lot in 1974. “This was an extremely long restoration. I bought the car when it was 5 years old, and I started the restoration in 1980. It got sidelined while I went off and had a life. Once I really got started, it took about 4 years from the point of being a shell in primer to take it all the way up to show status,” Cole says. The impetus for the restoration came in the late 1970s when the car was stolen from Cole’s driveway and stripped to the chassis. “After I had it for a couple years, it got stolen and stripped. Eventually, we tracked down the kids who stole it and got all the parts back. They still had the engine, the transmission, and all the parts with the numbers on them. I got the fenders, hood, and seats back, too,” Cole says. But in 1980, a ’69 Camaro was just another old car. There was no way to know how muscle cars would appreciate in the decades to come. “My friends started talking me into restoring it, but there were no detailed records I could get from GM. It’s really a sad thing. If that car was built in Canada, they’ve got documents stacked up on every car. But with Camaros for whatever reason, they never kept records. When I bought the car, I didn’t get any paperwork. This car could have ended up as a cube in a wrecking yard if it had gone the usual route of a stolen and stripped car,” Cole says. So instead of taking the insurance money and walking away, Cole continued what the thieves had begun and took the car all the way apart. “The only sheet metal we replaced was the trunk floor pan. It was a real solid car,” he recalls. But life again intervened and the car sat for years in Cole’s garage, waiting for its moment. 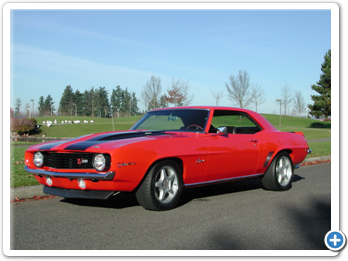 The time finally came when Cole decided to get serious with the help of Steve Heino from Modern Classics in Lake Oswego and Darrel Baumer of DB Custom Autoworks in Newberg. “Finding the right people and the right resources is critical. Steve (Heino) was instrumental in helping me finish the car. Or I should say I helped him finish it. He was the one who knew how to do everything,” Cole says. The initial challenge to the restoration was figuring out how to re-create the original color applied in Van Nuys. “The first color on the car, underneath the fenders and up on the cowling it was the orange-red color that we have. I took it back to that same color. I’ve never seen another car that color before, and I doubt I ever will,” Cole says. He took the car to Baumer and they worked together to make everything just right. “The bodywork was the biggest thing, getting that done well. One of the painstaking things to do is find someone who will give you what you want and take his time to do it. It took four months to run this through from stripped to the final result,” Cole says. With the paint done, Cole went nationwide to find the shops he wanted to rework the mechanical parts. “When it came to the brake parts, one of the tougher things to find were the calipers. They were Corvette calipers, but they used two right-hand inner caliper halves on the rear. So I had to get special calipers out of Lone Star Calipers in Texas. Getting somebody to go through the transmission, I chose a guy out of Indianapolis who specializes in the Rock Crusher,” Cole says. The interior of the car was done by Gray’s automotive in Tigard. “We used all original materials,” Cole says. Today, the car rides around on a set of custom wheels, but for show purposes Cole keeps a set of correct tires on the car’s original set of Camaro Rally wheels. He drives the car regularly for enjoyment, and while he’s proud to show it off, he hasn’t been greedy with the trophies. 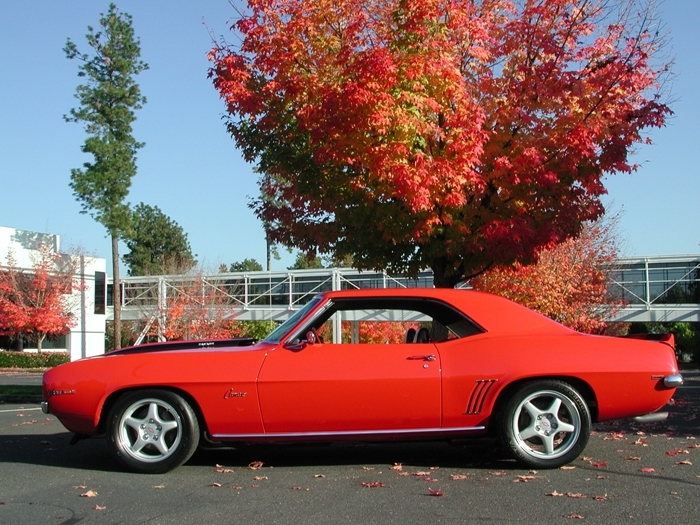 “This car was the 2005 Portland Rod & Custom show class winner, and also received an ‘outstanding undercarriage’ award. That’s the only indoor show I’ve ever been in, and probably the only one I’ll ever put it in,” he says. 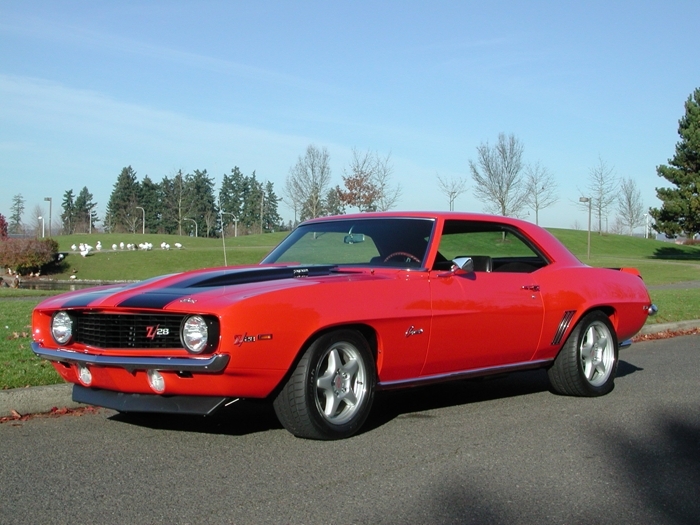 At this point, the venerable ’69 Z-28 is one of the most sought-after muscle cars in the game. But it was vision - and not a vision of dollar signs - that prompted Mike Cole to take this car back from the impound recovery yard and make it perfect. “I didn’t even have a clue what I had when I bought this Camaro. I was looking for a muscle car, and it had four-wheel disc brakes. That was all. I’ll never sell it,” he says. 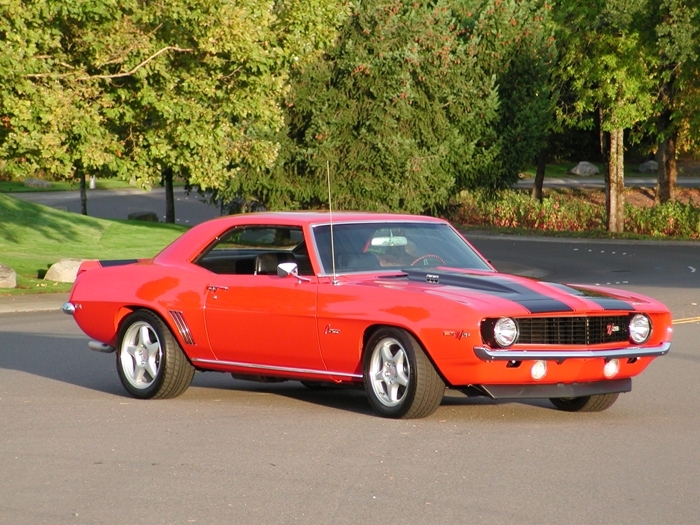 This book is essentially the history of the Camaro, dating from its conception to 1969. Paul Zazarine accomplishes this historical account by way of first-hand interviews with GM engineers and previously unpublished photographs. This book provides information on second generation Camaros including all models produced between 1970 and 1981. It identifies the correct parts, finishes, options, and trim pieces for each of these models and covers the full range of engine options. 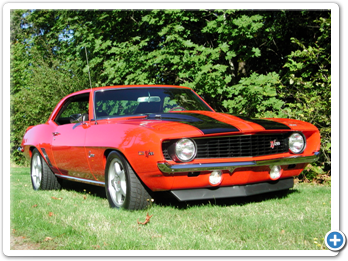 In Chevrolet Camaro 1967-1972, author William Burt uses over 250 color photos to show you all about the Camaro. 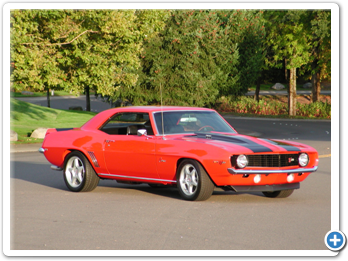 He devotes a chapter to each Camaro model year, from its debut it 1967 to the beginning of the emissions era in 1972. All the RS, SS, Z-28 Camaros, along with their 302-, 327-, 350-ci small-block and 396-, 427-, and 454-ci big-blocks are covered in detail.